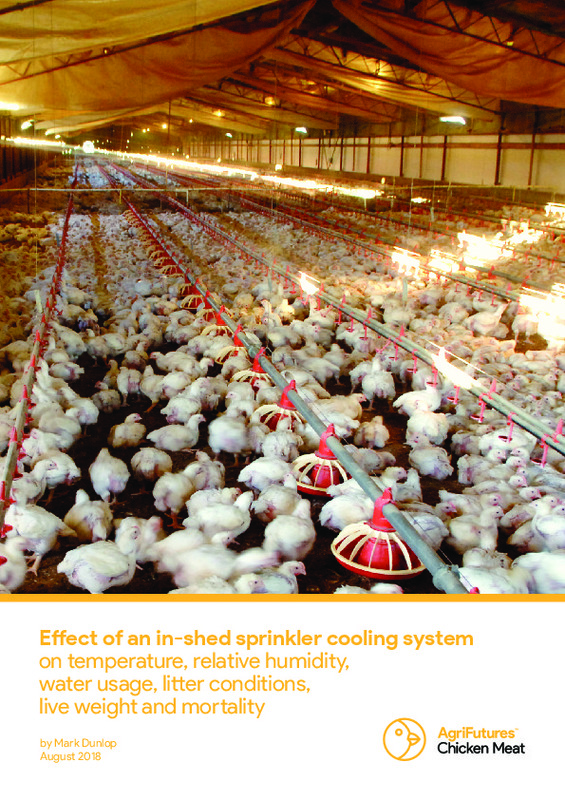 This report describes the first Australian trial of a low-pressure, overhead sprinkler system that reduces the need for conventional evaporative cooling pads or high pressure foggers in meat chicken houses. The sprinklers intermittently apply small quantities of water directly onto the birds at regular intervals, which evaporates before more water is applied. Previous studies have shown that these low-pressure sprinklers are effective for cooling birds and improving litter conditions, while using much less water. Complementary cooling strategies are being investigated because evaporative cooling pads use a lot of water and increase relative humidity in the poultry house. 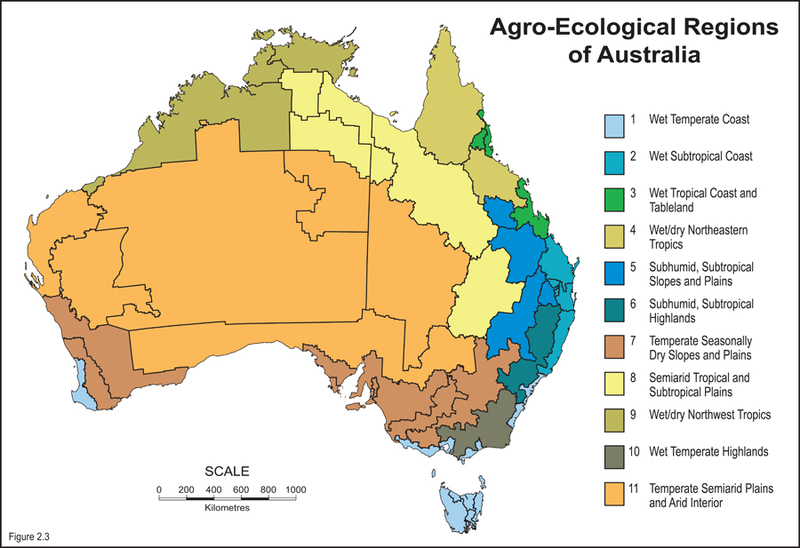 High relative humidity can negatively affect the bird’s ability to deal with heat and may also contribute to increasing the litter moisture content, which by association may affect some aspects of flock health and welfare.